More women worked in film during its first two decades than at any time since. Unfortunately, many early women filmmakers have been largely written out of film history, their contributions undervalued. 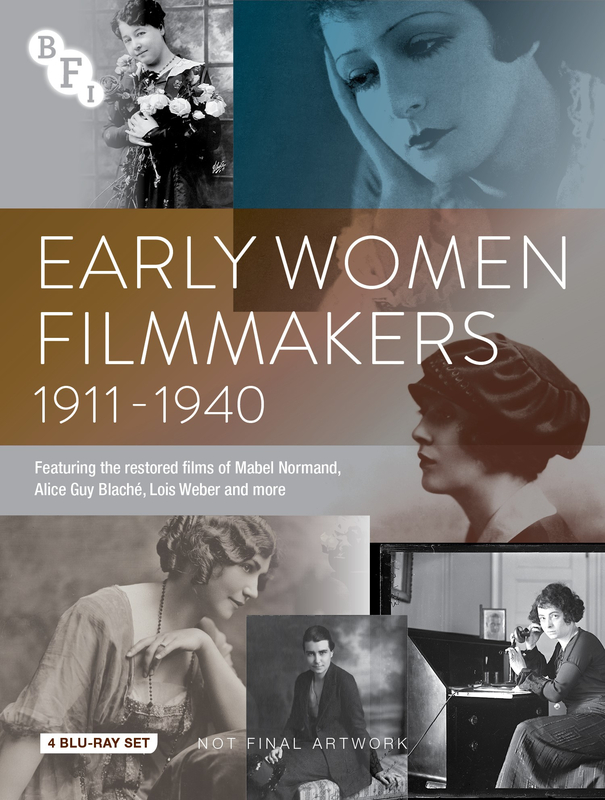 This necessary and timely collection highlights the work of 14 of early cinema’s most innovative and influential women directors, re-writing and celebrating their rightful place in film history. International in scope, this groundbreaking collection features over 10 hours of material, comprised of 25 films spanning 1911-1940, including many rare titles not widely available until now. Directors include Mabel Normand, Alice Guy Blanché, Lois Weber, Dorothy Davenport, Germaine Dulac, Olga Preobrazhenskaya, Dorothy Arzner and Mary Ellen Bute. These women were technically and stylistically innovative, pushing the boundaries of narrative, aesthetics, and genre. Going back to the beginning of cinema, this collection makes visible the tremendous directorial contributions women made. Mabel Normand, Alice Guy Blanché, Lois Weber, Dorothy Davenport, Germaine Dulac, Olga Preobrazhenskaya, Dorothy Arzner, Mary Ellen Bute.